The Bachelor of Design / Bachelor of Media and Communication is designed to equip students with the knowledge to harness creativity in design, and bring designs to life in professional communication industries. Students will gain in-depth knowledge across the discipline of design, as well as additional skills in management, writing, business, media planning and more - making graduates well-prepared for a wide variety of both creative and managerial opportunities in creative communications and media. Year 12 or equivalent; VCE prerequisites: Units 3 and 4: a minimum study score of 25 in English (or equivalent) or 30 in English (EAL); and Units 3 and 4: a minimum study score of 20 in one of Art, Interactive Digital Media C or VCE VET Creative and Digital Media, Media, Product Design and Technology, Studio Arts or Visual Communication Design. Additional performance criteria and prerequisite requirements may also apply. English language requirements - satisfactory completion of one of the following: Swinburne's English for Academic Purposes (EAP 5 Advanced level) with overall 65%, all skills 65%; minimum IELTS overall band of 6.0 (Academic Module) with no individual band below 6.0; TOEFL iBT (internet-based) minimum score of 75 with a reading band no less than 18 and writing band no less than 20; Pearson (PTE) minimum score of 50 (no communicative skills less than 50); any other equivalent assessment of English language proficiency. Note: A prerequisite for many courses, the Pearson Test of English Academic (PTE Academic) can now be done on campus in Hawthorn. 400 credit points comprising: 8 Core Design units (100 credit points); 4 Core Media and Communication units (50 credit points); 7 units of study from a Design discipline major (100 credit points); 8 units of study from a Media and Communication major (100 credit points); 4 units of study comprising of an advanced minor, or minor, or electives (50 credit points). Pathways allow students to progress from one qualification to another where the first course is recognised as an entry requirement and/or provides advanced standing to the second. Credit is granted in recognition of previous study and/or experience and allows students to gain advanced standing towards their course. Applicants are assessed on a case-by-case basis. Swinburne's Work Integrated Learning program provides students with opportunities to gain invaluable skills and confidence in knowing that they have what it takes to land a job in their field by graduation. Students can also earn credit towards their degree. Choose from 6- or 12-month professional placements, professional internships, industry-linked projects, industry study tours and accreditation placements. Note: Some Work Integrated Learning opportunities are not available to international students due to visa restrictions. On completion of the qualification, students may be eligible to become members of the following industry and peak bodies, and should confirm their eligibility with the association: Melbourne Art Directors Club (MADC); Australian Graphic Design Association (AGDA); Design Institute of Australia (DIA). Students completing the Public Relations major will be able to apply for student membership of the Public Relations Institute of Australia and apply for full membership immediately on completion of their program. Join the hundreds of thousands of grads before you. For over 100 years, Swinburne has been creating students and grads who lead the worlds in which they study, work and live. Dimity Hawkins, a graduate, co-founded the International Campaign to Abolish Nuclear Weapons, which won a Nobel Peace Prize (2017). Our film and television students win more awards at international film festivals than any other university. Our engineering students design, build and race their own Formula SAE car and showcase it at the Formula 1 Australian Grand Prix. Our information technology students create live network systems in our three state-of-the-art Cisco networking labs. Our design school is in the Top 40 worldwide (2018 QS World University Rankings by Subject) and our students collaborate with universities in Finland, China and Chile on projects in the Swinburne Design Factory. Many other graduates have gone on to work at places like NAB, Telstra, IBM and ANZ Bank. Visit our LinkedIn profile to find out more. Beyond that, we prioritise your learning experience above all else. Swinburne was ranked in the top three in Victoria for student satisfaction, outstripping the national average (QILT Student Experience Survey 2016). With that goal in mind, we recently launched the Bachelor of Engineering Practice – Australia’s first engineering degree that uses project-based learning, while eliminating lectures and exams. And that’s just for a start. 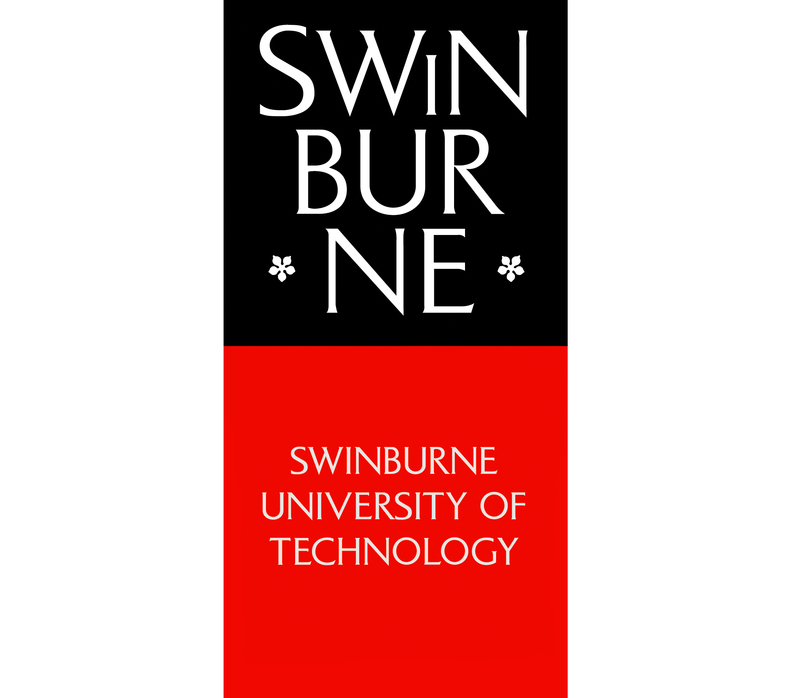 From master degrees and postgraduate programs to bachelor degrees, diplomas and certificates, Swinburne offers options for everyone.